Broadcast on 20 February 2016 on KSCO AM 1080, KSCO 104.1 FM, KOMY AM 1340, and KSCO.com Live Stream. It's A Question Of Balance® radio show balances the intellectual with the creative, exploring whether we have more in common than divides us through thought-provoking conversations - out and about with people on the street on different topics, and in the studio with inspiring guests from the arts. Balance is not a compromise. Balance is truth distilled from many places creating cohesive understanding. This week as her special guest from the arts Ruth Copland is pleased to be interviewing Kristopher Jansma - award-winning, best-selling author. Kristopher’s first novel The Unchangeable spots of Leopards published by Viking/Penguin in 2013 was critically acclaimed and a success with readers. Described as “F. Scott Fitzgerald meets Wes Anderson" by The Village Voice and a “canny, seductive, and utterly transfixing tale about the magic of storytelling and the misery of writing” by Donna Seaman of Booklist, Kristopher’s inventive and witty debut describes a young man’s quest to become a writer and the misadventures in life and love that take him around the world. The Unchangeable Spots of Leopards was an Honorable Mention for the PEN/Hemingway Prize, a finalist for the Prix de l’Inapperçu, and longlisted for the Andrew Carnegie Award for Excellence in Fiction and the Flaherty-Dunnan First Novel Prize. It was a Barnes & Noble Discover Pick, an ABA “Indie Next” Choice, an ALA Notable Book, and an Alternate Selection for the Book of the Month Club. The novel has also been translated into German, French, Italian, Dutch, Czech and Turkish. Growing up in Lincroft, New Jersey, Kristopher received his B.A. in The Writing Seminars from Johns Hopkins University and an M.F.A. in Fiction from Columbia University. He has written a column for Electric Literature about Literary Artifacts, and loving books in a digital age and his work has also been published in The New York Times, Columbia Magazine, The Believer, Slice Magazine, the Blue Mesa Review, and on The Millions. 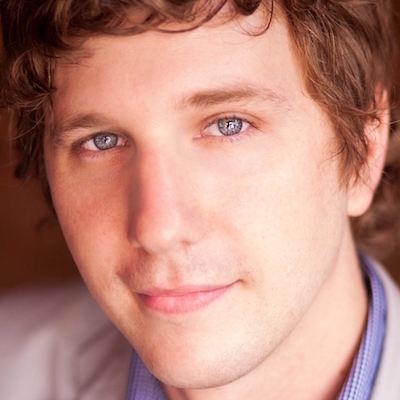 Kristopher is an Assistant Professor of Creative Writing at SUNY New Paltz College and is the winner of the 2014 Sherwood Anderson Fiction Award. 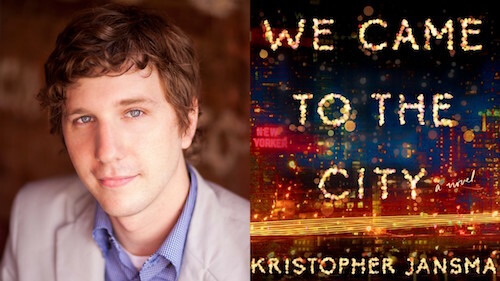 Kristopher’s second novel Why We Came To The City has just come out and is described by Publisher’s weekly as “a tightly written, smartly conceived story that puts an insightful spin on life in the Big Apple”.